From our fundamental understanding of IT structure, aligned to strategic business requirements, Fordway has developed a methodology called APAC (Alignment, Performance, Agility, Constraints) as an aid to implementing IT governance. 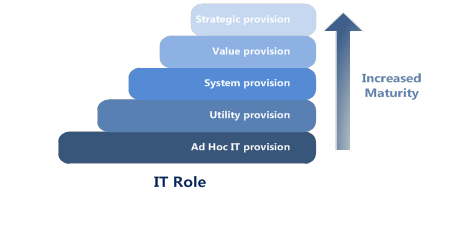 It is built on our experience in linking technical solutions with business visibility and viability, enabling the required agility and cost savings to be aligned to provide efficient and effective capacity for organisational growth.Fordway’s APAC framework is the definition, audit and control of IT assets in relation to the value they provide to an organisation in meeting its business objectives. To provide an IT management framework to deliver value to the organisation. Correctly implemented and matched to the size of the organisation, IT governance provides a framework to deliver and measure this change of emphasis and provide increased and measurable value of IT to the business through increased maturity. APAC is based on an ITIL and Cobit based process framework that will baseline, align and monitor an organisation’s capabilities and resources. It can be used at different entry points, allowing an organisation to prioritise its requirements to resolve the pain points and optimise the benefits with quick wins. The framework also allows the design to be initiated from strategy down and implemented from infrastructure up. This framework is supported by effective measurements and monitoring to ensure improvements in IT governance and IT maturity and obtained against business requirements. Appropriate controls are applied to ensure governance remains viable against continuous business changes. Fordway offers consultancy services to help organisations develop a consistent approach to their governance, based on ITIL, ISO 27000 and SFIA industry standards.